In Akubo, you can import contacts via a CSV file as well as transactions. In the sample CSV file below, we have the name and address of the contact as well as the transaction details such as date, currency, amount, payment method, memo, category and sub-category. 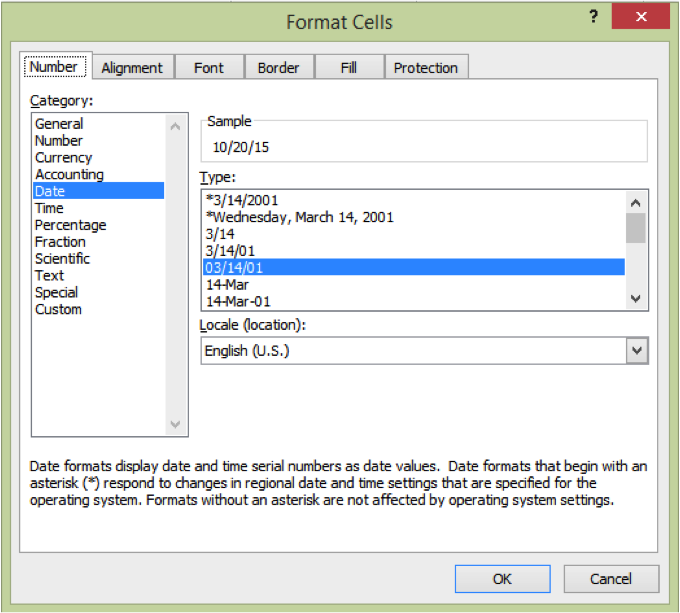 Date – If you’re importing an Excel file, change the format of your date to one of the formats without an asterisk as it may not be imported correctly in Akubo. Or you can save your file as CSV (CommaDelimited). Here are the steps on how to change the date format in Excel. Under the Number tab, select Date from one of the Categories. And on the right side, choose one of the formats that don’t have an asterisk then click OK.
Currency – Remove the currency symbol from the amount as Akubo will treat it as an invalid value. You will have an option to set a defined currency during the import process. Or if there are transactions in the file that are in different currency, you can add a Currency column and use valid currency codes as the values. 1) From the main page, click the ‘Import & Export’ icon. 3) Step 1 is choosing and uploading the file. Click ‘Choose File’ and select the file you want to import then click ‘Upload’. 4) Step 2 is matching the columns of the spreadsheet with the columns in the database. Matched columns will be in green. If your file contains duplicate names, you can check the setting that will not allow duplicates to be imported. You have the option to check for duplicates by Name/Organization, Email, Both Name and Email Address or Custom Field. You can use the setting ‘Assign Country’ to set a country value only if there are no other values in the Country column of the spreadsheet or if all of the contacts are from the same country. If you want to add the new contacts to a specific group, you can use the setting ‘GROUP: Add all imported entries to Group’. From the drop down menu, select an existing group or click the button ‘New Group’ to add a new group. After importing the contacts, we can import the transactions next using the same file. 2) Under the Import Column, click the link Transactions (Sales/Donations) from Excel or CSV file. 3) Step 1: Choose a file then click Upload. 4) Step 2: Match the columns of the spreadsheet with the columns in the Akubo database. Matched columns will be in green. In the setting ‘ADD Transactions to’, Akubo will add the transaction by matching one of the following options from each row. If currency is invalid or not defined, you can set a currency. 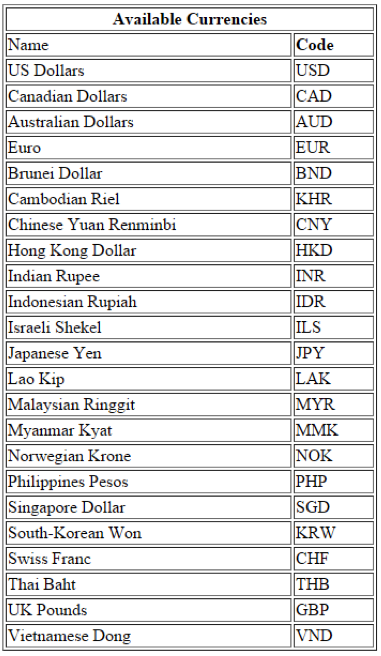 In the setting ‘Currency is invalid or not defined’, choose a currency from the drop down menu. 5) Click ‘Import’ at the bottom of the page to import the data. You can check if the transactions are imported correctly to the contact by searching for that contact. In the contact popup, you can find the transactions of that contact under the Giving tab. We hope that this blog tutorial will be helpful for you in importing your transactions to Akubo.